Why did we create a new Content Monitoring feature? There are many ways you can find content to curate. Scoop.it’s mission is to help you find and publish the best content, whichever way works best for you. Want to scan the relevant web to find content on a specific topic? 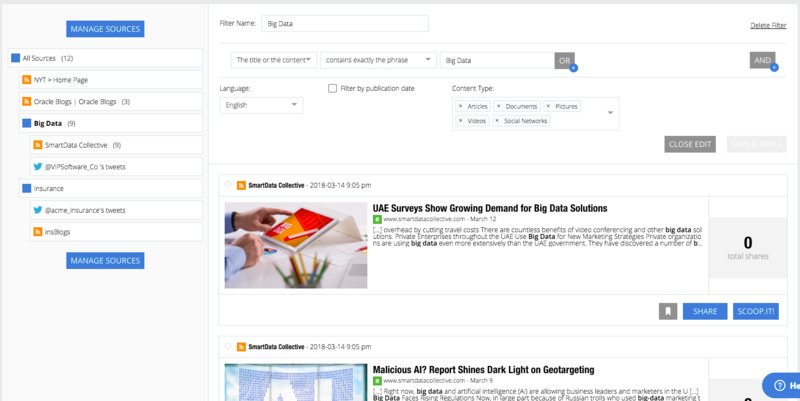 You can leverage Research Content, our very own content engine. Your colleague sends you an interesting article, or you’re reading this blog post you saw in a newsletter? You can directly publish to your channels via our browser add-on. 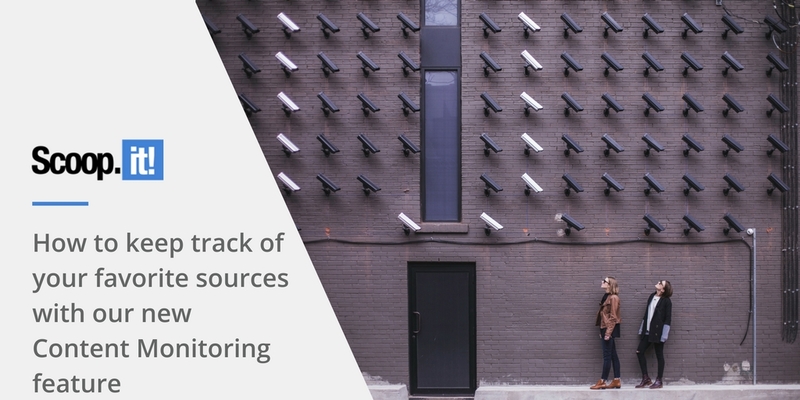 What about the sources you want to monitor on a daily/weekly basis? Well, you could already add your own sources in your Suggestions’ Advanced Configuration panel. However, since it’s an important part of the curation work for many users, we wanted to go further and repackage this feature. 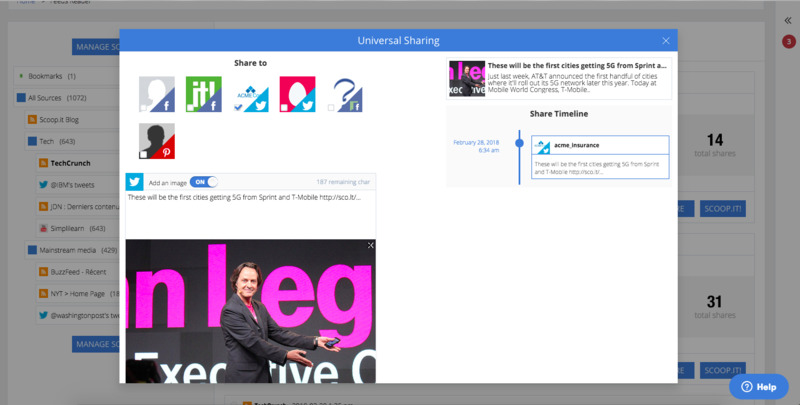 Organize all your different content sources the way you want by creating groups. The goal is to give you more flexibility: you can display content from all sources, zoom on a particular group or even focus on a single feed. You can still add a variety of sources you’d like to monitor: RSS feeds, Twitter users or lists, Facebook pages and Youtube channels. If you’re already using another feed aggregator, you can import all your sources at once via the “import OPML file” feature. 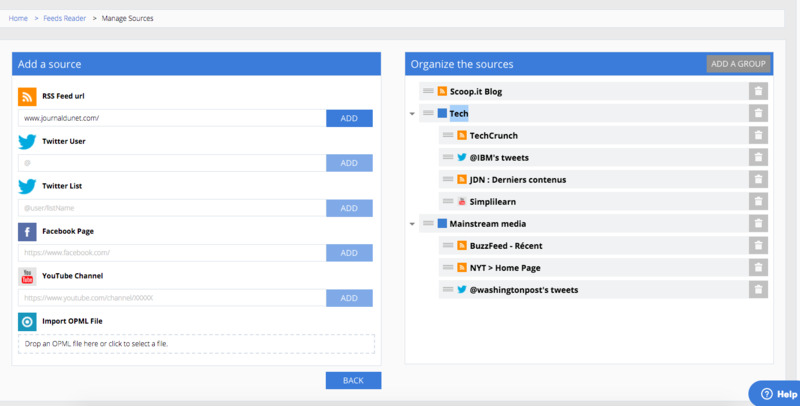 Managing your sources has never been easier: just drag and drop your sources to include them in a group and organize them the way you want. Sometimes, all the pieces of content from your sources won’t be relevant. That’s why we created advanced filtering options. Create custom filters with boolean operators and apply them to any of your content streams! How can I use this new module? Our new content monitoring feature will be available as an option in our Enterprise products Content Director and Knowledge Sharing. Want to know more or schedule a demo? Contact us!